​Would you benefit from one on one support and a workout plan that meets your schedule, caters to your physical needs and helps you reach your health and fitness goals? 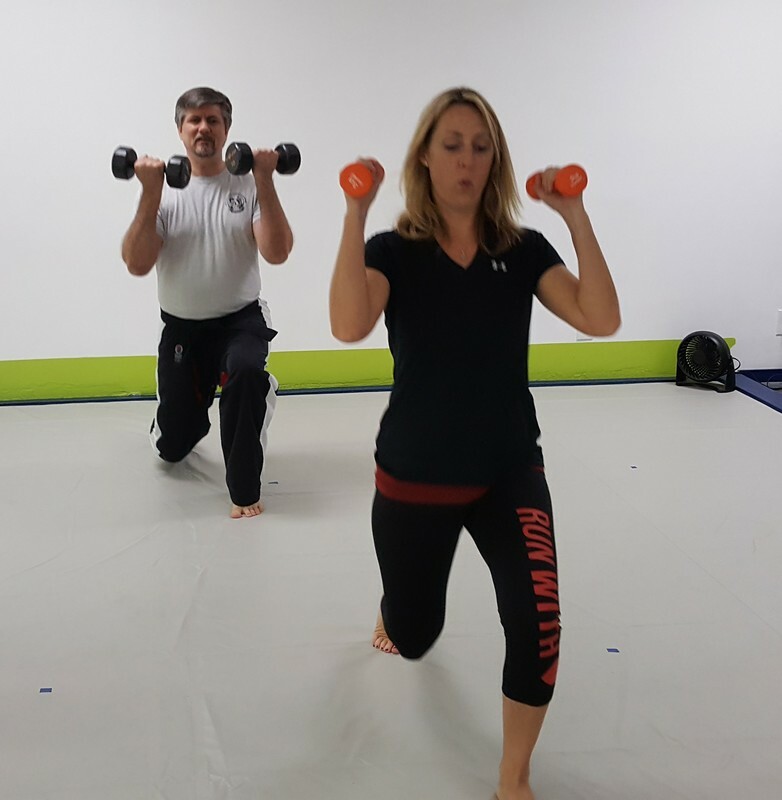 At BRKKA, both Patty and Doug are certified personal trainers as well as seasoned black belt martial arts instructors. We offer safe, personalized workouts and plans to ensure a proven formula for success. The environment is personal, private (with appointment) and clean. We are passionate about helping you achieve your health and fitness goals, whatever they may be! There is no binding, long-term contracts for training and there are plans that combine personal training and kickboxing if that is an appealing option. Come give us a try, the first session is free! Patty has spent the last two years building a fitness plan that benefits both youth and adults. She trains several youth sibling groups, helping them achieve health goals and focus on nutrition, and also teaches several group workout classes each week for families that like to sweat together. There is no better teacher or motivator for kids, than to watch their parents workout right next to them! All ages are welcome, any level of fitness can benefit. She also trains adults who benefit from private sessions, catering to their special physical needs and goals. We all know that good health and fitness is about exercise and even more important, nutrition. We offer guidelines for a balanced meal plan that give you portions, choices and options to fit most lifestyles. We can help you track your daily nutrition and achieve you goals with both how you fuel your body as well as how you burn those calories! Along with nutrition, monitoring changes in your body composition is one of the most effective ways of evaluating your diet and workout routine. Ask us about how lowering your body fat percentage will help you get your ideal physique. We are happy to provide you with a body analysis and continued progress reports as you train. This device can help with a variety of issues most notably energy, sleep, pain, mood, athletic performance and mental clarity. Many users have also reported improvements in blood pressure, blood sugar and vision. Give us a call and ask us about personal training packages and schedules. The first workout is complimentary, giving us the opportunity to learn about you, your goals and evaluate how best to get started.